Zerone Technologies, an ERP software and systems integration company, is one of the key Microsoft Office 365 partners in Qatar, Bahrain and UAE. As a Certified service provider and reseller of Microsoft, we ensure access to the most advanced software systems. In the Middle East, we provide Microsoft Office 365 services for three areas – Qatar, Bahrain, and UAE. In addition to offering customized infrastructure solutions, we also provide online training services in these countries. In fact, Zerone provides a wide range of services and infrastructural solutions to our esteemed customers in Qatar, Bahrain, and UAE. As the only optimized Microsoft cloud partner in Qatar, we add the maximum number of Office 365 customers every year. Further, as many as 100 plus companies rely on our services and we have deployed more than 10,000 seats. Many companies are adopting Microsoft Office 365 now though they wondered whether the upgraded version was required or not when the product was first introduced. The questions that arose at the time were regarding the benefits that the product offered. 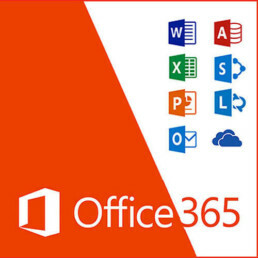 Microsoft Office 365 actually involves subscription plans that provide access to the Office applications and other productivity services such as Exchange hosted emails for business, additional online storage on Skype and OneDrive through cloud services. The fact that Microsoft Office 365 comes in different levels such as home, student, personal, and business is its specialty. It is not only easy to set up but also easy to learn. This means that employees get comfortable with it fairly quickly. This enables businesses to quickly adapt to the changes in the market. The Office 365 system updates itself automatically. As the tools, services, and applications get updated on a regular basis, the experience of businesses become better and better every time. The Microsoft Office 365 package includes the desktop suite as well. Therefore, employees can work on the documents both online and offline. The Office 365 cloud solution provided by Zerone Technologies also allows offline access to documents. Security is the most important aspect to be considered when choosing cloud solutions. The good thing about Office 365 is that has built-in anti-spam and anti-malware protection. Further, the antivirus signatures are maintained up to date and are applied accordingly. Businesses frequently want to find out whether a decision would work in the best interest of their organization. It helps them to check out various decisions. It is easy for businesses to market and build their brand online with the Office 365 solutions provided by Zerone Technologies as it does not involve any hosting fees. It enables improved collaboration and better coordination with teammates, co-workers, customers when file accessing and sharing are involved. Office 365 allows business owners to host online multiparty video conferences in HD mode, share the screen and instant messaging, and post notes in real-time. Skype for businesses resolves communication problems faced by companies. Businesses can also access Calendar and E-mails on any device from anywhere. All said and done, Microsoft Office 365 is the best friend businesses in Qatar, Bahrain, and UAE can have with the support of Zerone Technologies. We ensure the availability of Office 365 throughout the year as businesses work without any break.